During a recent community meeting a homeowner asked how he can post comments in the Asbel Estates Community website (http://asbelestateshoa.com/). In order to post a comment the website requires that you first login to the website using a username and password. If you have a Facebook or Twitter account you can login using either your Facebook or Twitter username. However if you don’t have a username you can create one directly within the Asbel Estates website. The following steps will show you how to create a new account. At this point you must first login to the website before posting your comment. Notice the icons displayed directly above the Post Comment button. The icons will let you login using either your WordPress, Twitter, Facebook, or Google username, respectively. Before you can type your comment you must first click one of these icons to login to the website. Assuming you don’t yet have an account with any of these services, the easiest path forward is to create an account with Google. Click the Google icon (the icon containing the “g”) to display the login box shown in the picture to the right. At this point you can login to Google if you already have an account. 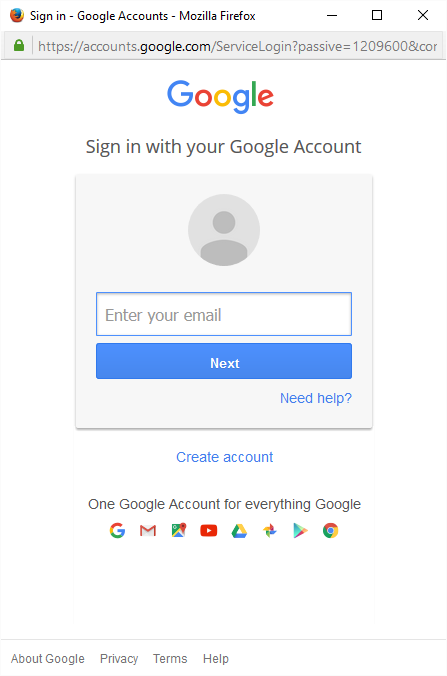 If you don’t have a Google account you can create one by clicking the Create Account link located towards the bottom of the window. After clicking the Create Account link you will see a second window asking you to enter details about your account. Enter the requested information in the various fields, then click the Next Step button. You will then see a message welcoming you to your new Google Account. Click the Continue button at the bottom of the window. You will then see a window similar to the one shown on the right. 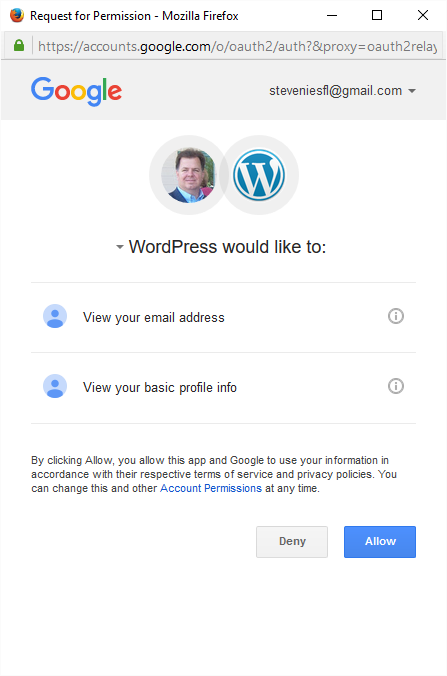 This window is asking permission for WordPress to access your Google Account information. Click the Allow button to proceed. To post a comment, click the reply box to again “plant” the text cursor. You can then proceed to enter the text of your comment. When you are done click the Post Comment button to submit the comment to the website. That’s all there is to it! We’re glad you decided to participate and are looking forward to reading your comments. If you have any questions please contact our Community Manager (Premier) at 866-722-4004. This entry was posted in Announcements and tagged Website Login. Bookmark the permalink.